Home > Features > Can an Arsenal Player Win the World Cup this Summer? Can an Arsenal Player Win the World Cup this Summer? As the Premier League season draws to a close, eyes will turn towards the upcoming World Cup in Russia. As is usually the case, Arsenal will have many players heading out to Russia to play for their respective countries, with a group of players in the England team as well as many other teams from all over the world. There are many top class players amongst them but will Arsenal have a World Cup winner this summer when players take to the field at Russia 2018? If you look at the betting odds on Oddschecker, Germany are the current second favourites to win the World Cup. That will come as no surprise and many people from all over the world will fancy the Germans this summer as they look to lift back-to-back World Cup trophies. Someone certain to be in the Germany squad this summer is midfielder Mesut Ozil – and he may be joined by fellow Gunner Shkodran Mustafi if he is lucky enough to make the final squad. While Ozil will play a big role for Germany, Mustafi will go to the tournament as a backup player, if he makes it at all. Despite some of their 2014 winning squad leaving the national ranks, Germany have seamlessly transitioned into a new period and one that could be even more successful than what we have seen in recent years. This new German team is younger, has a lot of pace and, like every other German team before it, they are disciplined and capable of matching up with anyone all over the pitch. There is no doubt that Germany are the best of the European teams heading to Russia and playing inside their own continent may give them an advantage over those coming from elsewhere in the world. Will Brazil be able to adapt to the games in Russia? If not, they are the main challengers alongside Germany so that would be a real boost to the chances of the Germans this summer. Whether Arsenal end up with one or two Germans in their team this summer, this looks to be the best chance Arsenal have of winning the World Cup. If you want to look in Europe but somewhere other than Germany, then Arsenal will also have a representative in the French team and they look to have a great chance to perform well at the tournament. Alexander Lacazette and Laurent Koscielny were both expected to play a big part in any success that France have this summer, with Koscielny especially playing a very big part in recent games for them. Lacazette is set to make the squad and should see a fair amount of playing time, however, Koscielny’s hopes have been dashed after he was ruled out for up to six months with a serious Achilles injury. France are an interesting proposition ahead of the World Cup after their impressive display at Euro 2016, although, that was a tournament that ended in disappointment for them. They hosted that event and went into it with a lot of pressure on them to succeed. They nearly did it but eventually lost to Portugal 1-0 after extra time in the final, a game that broke French hearts. We are going to see whether the French can use that experience to help them and build on the things they learnt, or whether they struggle because of it. There is no doubting that France have a lot of quality in their squad. Whether they have the right character after their agonising loss at Euro 2016 is something that we will find out when they take to the field in Russia this summer. Arsenal will have a key member of the French World Cup team in Lacazette. There is no doubting they have the quality to compete but whether they have the mentality to win a world tournament remains to be seen. Can England really do it? There is little expectation on them but could that actually work in their favour going into this tournament when you consider how under pressure they have been going into other events over the past decade. 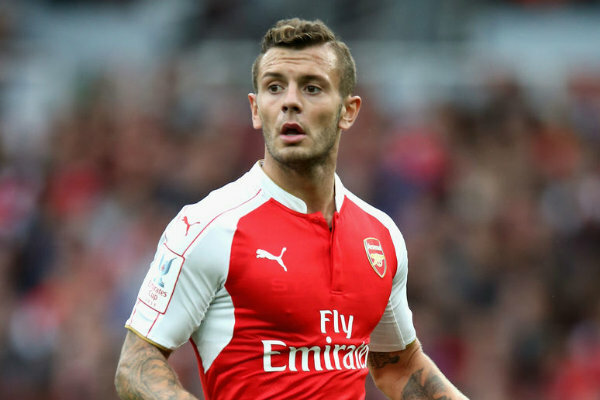 Jack Wilshere and Danny Welbeck are likely to be involved for England this summer, although, neither will be starters. It is expected that both will be given the chance to have an impact from the bench though, and it will be interesting to see how they both get on. England are lacking in quality compared to many of the other teams in the competition, and their chances of winning are slim. However, their ability to frustrate teams by keeping games tight may allow England to go a lot further than many expect them to. It is highly unlikely they will win the tournament but they have been ruled out far too easily and could surprise many when they arrive in Russia. Something England do have in their favour is a relatively easy draw in the first round. They often start slowly in major tournaments but this group will allow them to do that and qualify for the next stage, putting them into the knockout round and in with a chance if upsetting some of the bigger nations that they will face. Arsenal will have many more representatives at the 2018 World Cup, spread across countries from all over the world. Here are just a few more players heading over to Russia in search of World Cup glory. Arsenal duo Hector Bellerin and Nacho Monreal are outsiders to be named in the Spain squad. Spain are struggling to match the golden age of a few years ago but have plenty of talent in their squad and are capable of going close on their day should they get a bit of luck. From the African nations, Mohamed Elneny will represent Egypt and Alex Iwobi will represent Nigeria. Teams from Africa usually lack the required quality to win the World Cup but have the ability to shock the bigger teams because they are very difficult to play against, something that is expected to be on show once again this summer. It is unlikely that either of these two will get too far in the competition but both will be targeting group qualification as their main aim. Granit Xhaka shone for Switzerland not long after Arsenal bought him and he gets another chance to show what he is capable of doing on the world stage this summer. He is an integral part of the Swiss team and will be relied upon for some big performances so Arsenal fans are likely to see a lot of him. The Swiss are capable of getting out of the group stages but are unlikely to go much further this summer. David Ospina will be in goal for Columbia this summer so Arsenal fans will get to see him in action throughout their tournament. They are not expected to do too well but the draw has been kind to them and to see them qualify for the knockout round would not be the biggest shock in the world. They will have to adapt to European conditions when they arrive for the tournament but players like Ospina, who already play in Europe, will certainly help them out with that.